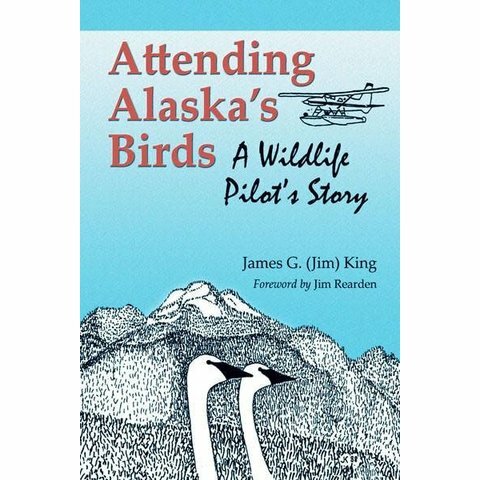 Attending Alaska's Birds, author King's 60 year memoir, covers a dramatic period in Alaska's history, a time when the people increased five-fold to over 600 thousand.King arrived in Alaska in 1949 at the age of 21. He describes life as a pilot/game warden, a refuge manager, a flyway biologist and an expert at enumerating birds while whizzing over them in a small plane. Over the past half century, James G. (Jim) King has probably been involved in more significant conservation actions than any other single Alaskan wildlife scientist. 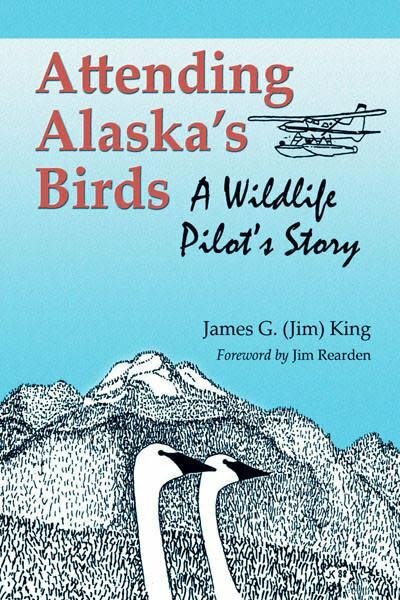 Many of the adventures he recounts in this volume are based on his participation in the selection of millions of acres of new wildlife refuges that came with the 1980 Alaska National Interest Lands Conservation Act (ANILCA). His years of flying waterfowl counts had made him familiar with the state's most productive wildlife areas. That knowledge, supported by his field reports and notes, proved invaluable in the selection of land for wildlife refuges. Attending Alaska's Birds is an exciting cornucopia of solid and fascinating biological and historical facts. It modestly describes, in first person, King's Alaska career as a scientist whose life has been dedicated to the well-being of Alaska's wildlife, especially its birds. King's studies helped to determine that Alaska is home, at least during part of each year, to 100 million seabirds, 70 million shorebirds, and 12 million waterfowl. Jim didn't count each bird, but he certainly counted his share in something like 6,000 hours of peering at them out of low flying airplanes, most of which he personally piloted. Attending Alaska's Birds is not only an exciting and interesting read, but it is the story of an outstanding man of accomplishment, and it provides an intimate look at historical actions that brought great changes to Alaska during the last half of the 20th century. It will become an important part of the literature of Alaska.